Ventilation | Linnert Roofing, Inc. Proper attic ventilation is critically important in reducing attic moisture and condensation. 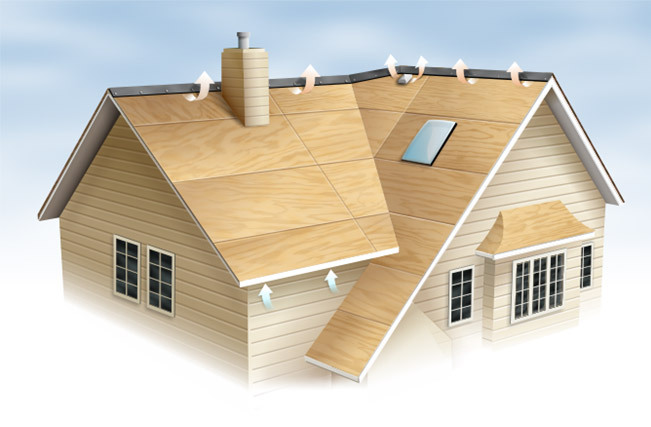 Excess moisture can damage the structure of your roof and house framing, wreck your interior walls and floors, and even create molds than can affect your health. A minor increase in the moisture content of your insulation can significantly reduce its effectiveness. Additional ventilation can be added by using ridge vents or more conventional roof vents. The characteristics of your particular roof and aesthetics will determine the types of roof vents necessary.